Ever had one of those days, where you cannot wait to get home and banish your stress and worries. Maybe you might kick off your shoes and settle down on the settee with a cup of tea and a good book or box set. But a fantastic alternative would be to come along and try out a Boxercise Class. Where not only would you certainly let off steam, you would also be getting fit and having fun. Boxercise is an exercise class based on the training concepts boxers use to keep fit. There can be a variety of formats to the Boxercise Class but a typical one involves hitting pads, shadow-boxing, skipping, abdominal work, press ups, shuttle runs etc. These types of classes are aimed at men and women of all ages and fitness levels. 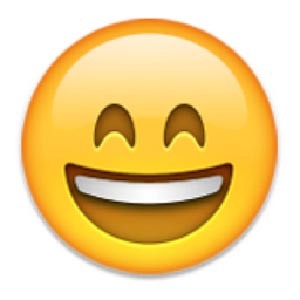 We may also throw in a few games at the end of the session to show that it is also about enjoyment at the same time as achieving physical gains. Boxercise started in the early 90’s and there are now thousands of boxing-style classes nationwide. 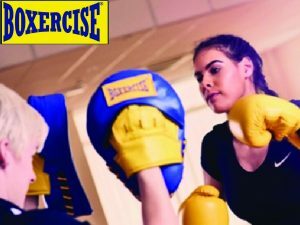 Boxercise (boxercise.co.uk) is taught by qualified Instructors, set to music and run from leisure centres and health clubs. You can find a qualified Instructor near you, by searching on the Boxercise web site. Personal Trainers may also be trained in Boxercise and use this as part of their 1:1 workouts. Because you are not actually hitting each other, it provides a safe environment whilst giving the participant a challenging but enjoyable workout. It is fantastic for releasing aggression. Let’s face it there are times when we all would benefit from hitting the pads. Boxing training is a great way to do that, it calms you because any aggression is channelled and controlled. Even without physical contact it enables you to take control of your body and become more confident in protecting yourself if required to. There are so many benefits to these types of classes that they can become addictive. What would you expect to gain? Mental agility, research has shown that the training techniques adopted whilst sparring can lead to superior decision making skills. It improves Hand-Eye coordination on both your left and right side of the body. This is because your body will improve evenly on both sides reducing any risk of postural misalignment. As you would expect, it increases stamina. This type of training is both Anaerobic (high intensity) and Aerobic, therefore beneficial for the heart and lungs. It also increases core strength. To take a punch to the pads, your abdominals need to be strong and toned. This strong core will improve posture and minimise your risk of back pain. Boxing improves muscle strength used in everyday life.